Two thousand two is a classical, beautifully balanced vintage with captivating sweet fruit, pliant texture and seductive charm. 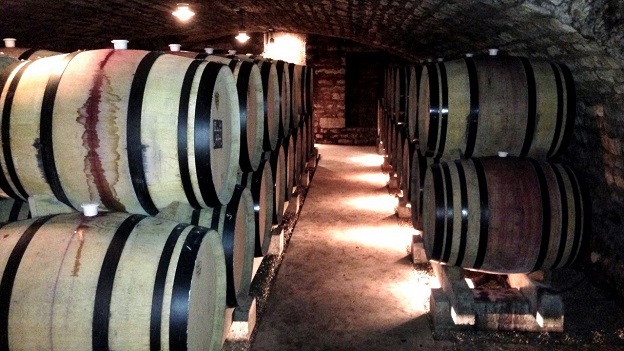 The wines are delivering on their early promise—and it’s always nice to be able to say that about a Burgundy vintage. If anything, the 2002s are evolving more slowly than I had originally predicted. Wines that I would have expected to be at their best 12 to 15 years after the vintage are in no danger of falling apart anytime soon; on the contrary, many of the better 2002s I tasted this fall were just embarking on their planes of peak drinkability and some still need to be held. While a handful of 2002s are still dominated by surprisingly primary aromas of fresh fruits, flowers and spices, most are also beginning to reveal complex, alluring tertiary balsamic or underbrush scents. Even the most expressive wines seem more youthful on the palate, where they deliver very good flavor definition and energy and solid acid/tannin spine. Late November and December of 2001 were very cold, bringing the kind of hard frosts that are rarely seen in Burgundy these days, and certainly not during the last three winters. (A sustained very cold period in winter invigorates the vines by forcing the sap deep and helps to kill off the bugs in the soil.) The spring of 2002 was changeable but on the dry side. Warm weather in late May advanced the flowering a bit, but cool temperatures during the first third of June caused some coulure and millerandage in the early-flowering sites. Temperatures warmed up after June 10th and the majority of the flowering was quick and homogeneous, sometimes producing large, tight grapes that would benefit later on from crop-reduction techniques—and that could be prone to rot during humid periods. I should point out that 2002 was a topsy-turvy weather year in Europe that was generally kind to Burgundy. Through much of the summer, for example, tourists in Scandinavia enjoyed unusually warm weather and sunshine, while a series of storms streamed across Spain, Southern France and Northern Italy through much of July, August and early September. 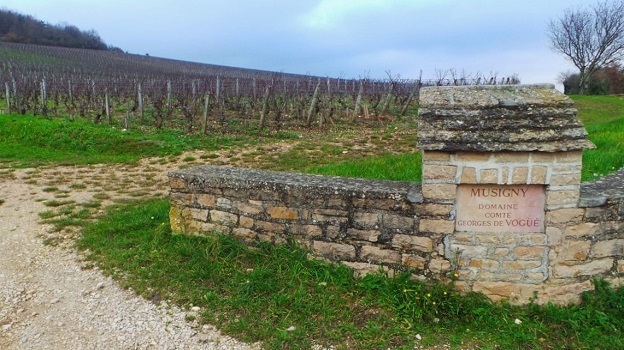 Burgundy was consistently just to the north of the worst excesses of weather, with the dividing line typically running through the Mâconnais or Beaujolais. The summer of 2002 in Burgundy presented no extremes. Late June and July were on the cool side and changeable, with sporadic rainy spells that were generally constructive for the vines. There wasn’t much sun or heat in August but conditions were mostly dry until the end of the month, when there was substantial rainfall in the Côte de Beaune but significantly less in the northern half of the Côte de Nuits. Throughout the growing season, alternating dry and wet conditions and variable temperatures toughened the skins and made the grapes more resistant to rot and mildew. Still, where crop levels were full and the grape clusters were tight, signs of rot were visible by late August. And as the summer had not provided any sustained periods of warm, sunny weather, the ripening was still behind schedule at the end of August, and growers were mostly pessimistic. The weather in early September was also variable, and significant rain fell on September 9, although nothing like the near-biblical deluge that swamped the southern Rhône Valley. But anticyclone conditions then became established and the wind shifted to the north about a week before the harvest started, bringing sunshine and cool nights that stopped the rot in its tracks. This weather pattern raised sugar levels while preserving acidity (the ripening resulted from sunshine and photosynthesis more than from heat), and the windy, dry conditions reduced the amount of juice in the grapes and thereby cut the size of the crop. The harvest began on September 16th in the Côte de Beaune and on the 18th in the Côte de Nuits. Picking took place under excellent conditions except for a storm on September 19, which affected Marsannay and, to a lesser extent, Gevrey-Chambertin, but barely made it as far south as Nuits-Saint-Georges. (At the time, some growers south of Gevrey told me that this precipitation actually helped their fruit achieve better ripeness.) Growers were mostly able to pick at leisure, and the cool, dry conditions helped to preserve the purity of the Pinot Noir fruit. Rot and underripe grapes were not generally significant factors, so most estates made relatively little use of their sorting tables. Potential alcohol levels were typically close to 13% and sometimes higher, and chaptalization was rarely required. But unlike in years like 1990, and even 1999 to some extent, there was very little evidence of surmaturité. The fermentations went easily and the wines quickly revealed healthy, saturated colors and deep, precise fruit. With very good levels of acidity and plenty of ripe tannins supported by mid-palate fat, 2002 was clearly a vintage for at least mid-term aging. At the outset I predicted that this vintage would be at least a mid-term ager but I wondered if the wines had the inherent spine and grip for long-term aging. Judging from the bottles I have enjoyed in recent months, the 2002s are evolving beautifully and many of them still have glorious years ahead. Ageability is more dependent on balance than on any other wine characteristic, and the better 2002s show superb equilibrium. With just a couple of exceptions, the 2002s reviewed in this article were tasted in the growers’ cellars in November and December. I asked each producer to show me a single 2002—and frequently, with considerable regret, had to turn down a second bottle because I needed to move on to my next appointment. In most cases these wines had never been moved, so they were generally in great condition. As you might expect, supplies of older wines—especially those from desirable vintages—are low among the mostly elite producers I visit each year; some growers had only magnums to show (or preferred to show magnums) while a couple presented 375-milliliter bottles. I have made the bottle format clear in my notes. Trying the wines with the producers added rich context to my tastings, especially in cases in which the 2002s had been vinified by another winemaker (often the father of the current producer) or in which their own techniques have changed significantly since then. It was also fascinating to taste 2002s just after sampling 2014s and 2013s at each address; several winemakers compared their 2002s to one or the other of the current vintages. In most instances, the 2002s were more evolved on the nose than in the mouth—a characteristic of most ripe years. Yet I was repeatedly struck by the energy and structure of the wines. Another surprise—and a wholly pleasant one—was the high quality of many of the wines I tasted from the Côte de Beaune. 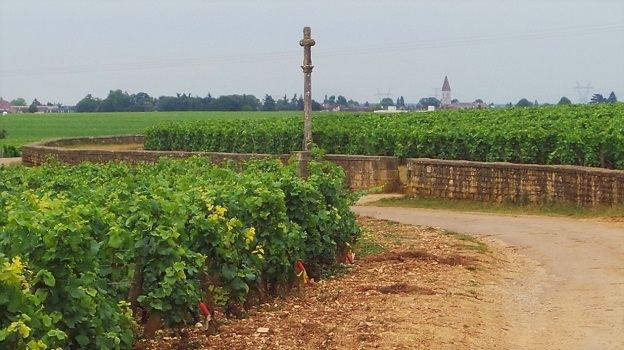 The Côte de Beaune had higher rainfall totals and less sunshine during the summer than the Côte de Nuits to the north but this does not appear to have prevented the best estates from making excellent wines.